After the holiday season, it may feel like (and look like!) your house is just one huge toy box. Also, does it seem like your child is just going from one toy to another without really stopping to play with any one thing? When a child has too many toys to choose from, she may have trouble picking one. Instead, she may go from toy to toy instead of settling down to play with one for awhile. We want kids to INCREASE their attention span through playing with toys, not increase their distractibility. Box up some of the toys your child isn't playing with. Old toys seem new when they reappear after a few weeks. If your child gets several new toys at a time, put some away for later. Combine different toys together. Put toy food and a cash register together and play restaurant or grocery store. Clear out toys that kids have outgrown. 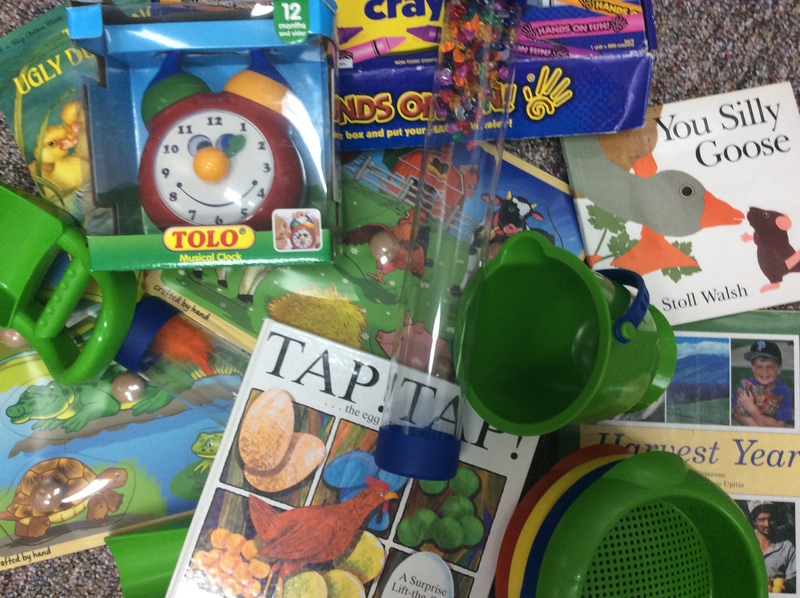 Older kids can help sort toys to give away or sell. Letting them make some of these decisions will let them know they are important. An added bonus: If you give toys away, kids can learn that others don't have as much and how they can help others! If you sell the toys, you could consider letting your child keep some or all of the money and begin a savings program.